How to we help families with hospital visits? Hospital visits are scary for anyone, let alone a child (with or without additional needs). It can be stressful knowing how to prepare and what to take, as well as managing and navigate the system. We need to support our families in this journey. Information on Hospital and Emergencies are listed below. We have some visuals on 'Getting a Needle' and 'Having an MRI' - take a look!! We have developed a number of visuals to help with hospital visits, including having an MRI scam and having a needle. They are $2.50 per visual and some print on A4 and some print on A3. We would love your feedback. A MUST for parents to be aware of! 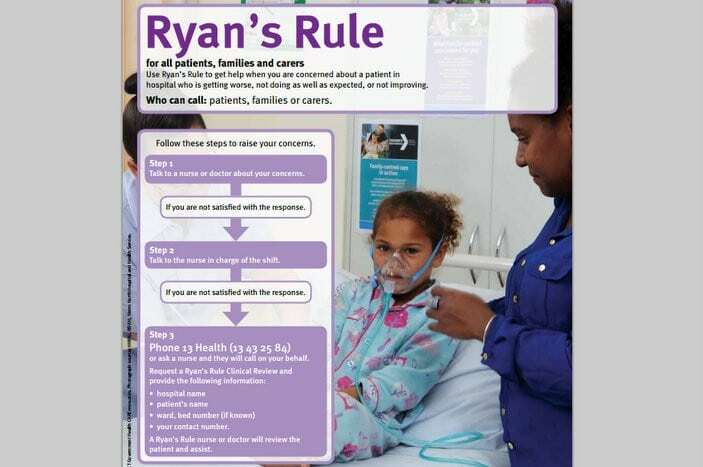 If families want a second opinion on their child's treatment, they have the right to under Queensland law (Ryan's Rule). Important to know your rights for your hospital visits. This link is for a pain chart that the Autism CRC have created. A great resource to download and pass onto any families heading into hospital. This is a great little device that has been developed to aid in interrupting the pain pathways to the brain. Great for needles and blood tests! A great website with lots of info about medications. Run by the Alcohol and Drug Foundation of Australia, the website keeps up to date on different medications and types of drugs. Includes a detailed list. A great website with lots of good information on preparing for hospital. These are able to be saved as PDFs for families!! Take a quick look at our blog - we specifically looked at the evidence around children with additional needs accessing emergency and hospital services.